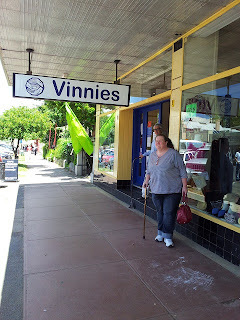 We had heard of a Vinnies opening in Braidwood, and it had been a while since Taph and I had been that way, so we took a trip there. It has unusual opening hours, as in that it is open from Thursday to Monday, and is closed Tuesday and Wednesday. This meant we were able to take a Sunday drive there. It is on the main street in Braidwood, just across the road from the very popular bakery. As Braidwood is a small village it is very hard to miss it. It has a small street frontage, but does go back a long way from the street. 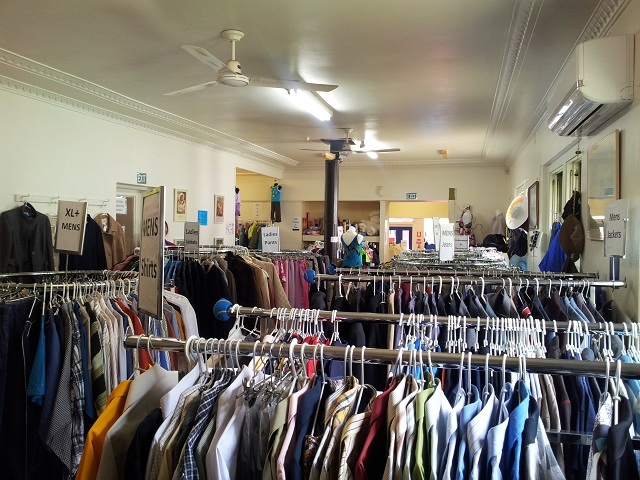 It’s a well organised shop with friendly staff and with reasonable prices. 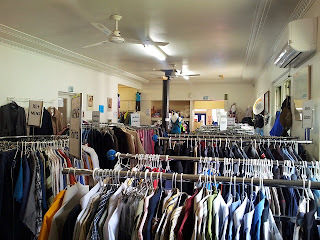 I was able to pick up five shirts and a Pierre Cardin dinner suit for less than $50. Now I have another quest. I am searching op-shops for a wing collar shirt in my size.